On Saturday, I was lucky enough to go to the Mechanica book launch! I took a class at Smith with author Betsy Cornwell, but we really became friends on the Internet after we’d both graduated. This was the first time I’ve seen her IRL since then and it was wonderful to hear her read, reminisce about college, and chat about writing. Plus the event was at a Dr. Who themed bar in Brooklyn called The Way Station – so cool!!! I’m so in love with this book and it comes out soon, so everyone should preorder it ASAP! 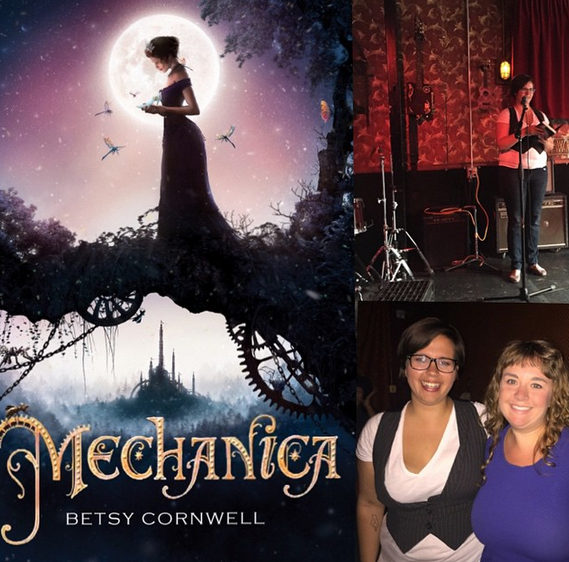 This entry was posted in Wordless Wednesdays and tagged Betsy Cornwell, books, mechanica, YA by Alison Doherty. Bookmark the permalink.